Suite Reyad at The Pierre, a Taj Hotel in New York City. 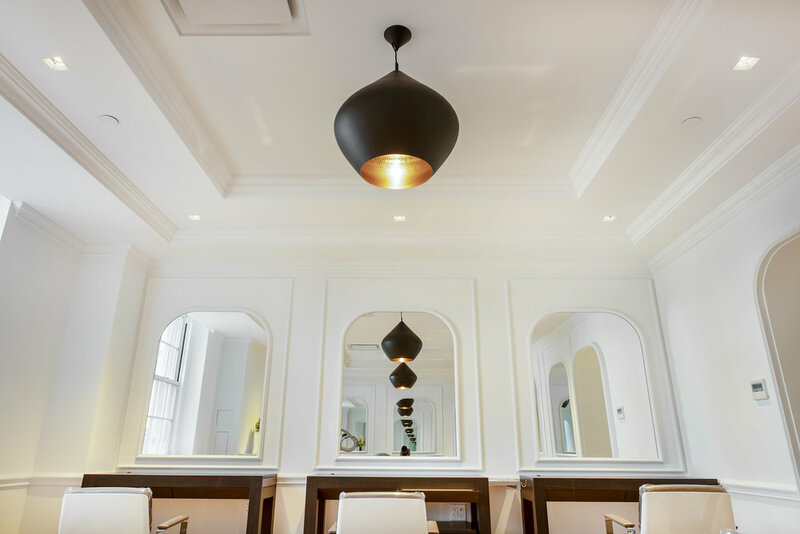 An airy, light-filled, luxurious hair salon located on the fourth floor of the iconic Pierre, a Taj Hotel, on Fifth Avenue, is now the home of Reyad Fritas. Having spent 11 years at Frédéric Fekkai Soho, 9 of them as the lead creative director of color, over time he simply became “Reyad” to his loyal patrons, destined to become a brand himself. “It was always a dream. Coming here to New York and opening my own place was always a dream,” says the Parisian-born colorist. But one can call him an “accidental hair colorist.” He fell into this occupation only by chance, having met the right people at the right time. Back in Paris, Fritas started coloring hair at the age of 15 for school credits. Yes, at the age of 15. Soon, he realized he had a real talent for coloring hair and, furthermore, grasping the concept that hair coloring alone was a real occupation. With his keen eye for color and his fluid application style, his young career took off at the salon of Jean Saberny, known as a hair master of his time. Then, by way of meeting Fékkai, a trailblazer who revolutionized the concept of luxury salons in New York, Fritas joined him and never looked back. Reception area at Suite Reyad Salon at The Pierre. Suite Reyad at the Pierre, a Taj Hotel, 2 East 61st Street, 4th floor, New York City.